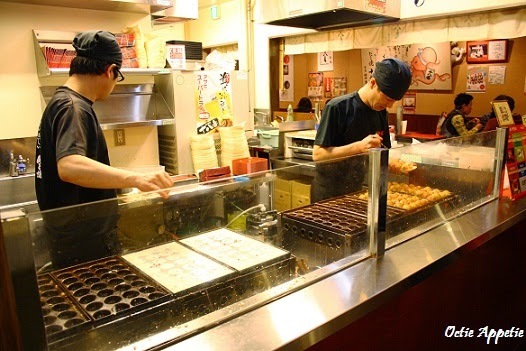 Takoyaki museum is another food theme park in Japan that is good to visit. I said good but not great. Good because the shops were cute and nicely decorated. However, not so great because takoyaki in here is not taste so yummy compared with what we nomrmally got out there or probably it's just us that didn't order the good one. It's definitely good to visit and have a look as its free entry anyway. 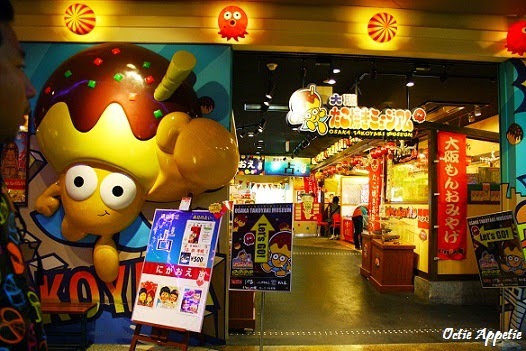 Takoyaki museum is located on the 2nd level not so far from the Universal Studio's main gate and just a few blocks away from Hard Rock's Cafe. 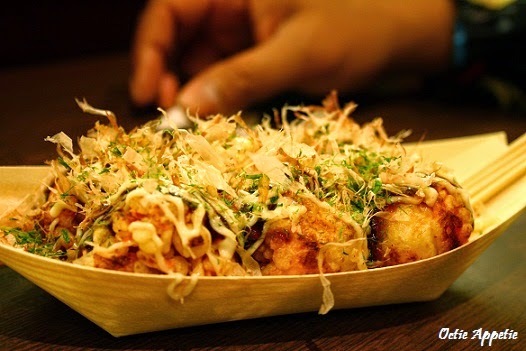 This basic takoyaki was yumm... Pipping hot as they just freshly come out from the pan. 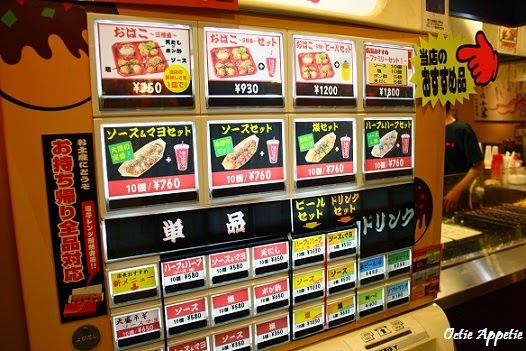 With generous amount of octopus inside and toppings. 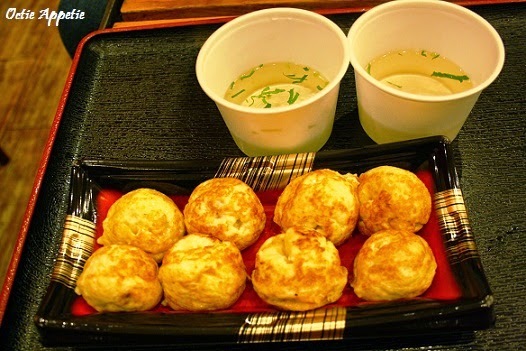 The next takoyaki that we had is dipping takoyaki, means the takoyaki made from golden-brown kinda soft-textured eggs then dipped into some kind of bland soup. Interesting idea but is not down to the taste. It was bland and the texture was funny, it was too soft to dip them in sort of water again.